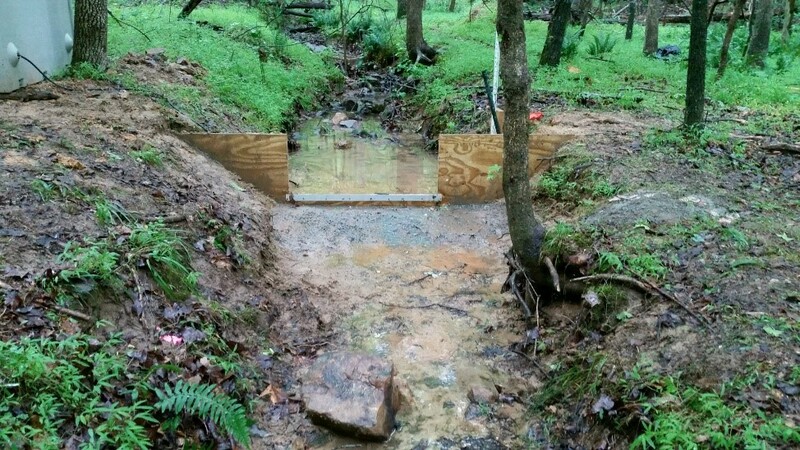 The focus of this project is to determine the likelihood of detecting change in water quality resulting from stream restoration. Often it is unlikely that improvement in water quality will be detected within mitigation time frames due to various watershed characteristics. Our objective is to understand reach and watershed attributes that make detecting change probable to help the mitigation practitioners tailor and develop scientifically valid goals for a given project. 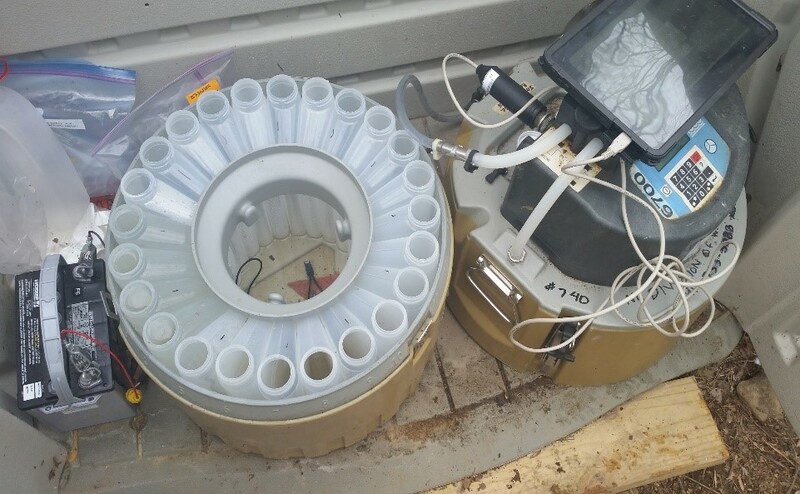 Automated ISCO 6700 sampler (above) used to collect base and storm flow samples at Buck Water stream restoration site in Orange county, NC. Known dimensions of the in-stream weir (above) are used in concert with the ISCO to calculate flow.